My TUNESday post is delayed by a day this week, and for the first time it was intentional tardiness. I wanted to wait until after going to the gym during yesterday's lunch. As I alluded to in a previous post, I've mixed up my routine lately and incorporated swimming and weights with my running schedule. Yesterday was one of those weight days, and am really liking the workout I've selected. I'm one of those people who dread working out with weights, mainly because I have absolutely no idea what I'm doing. When I walk in to the weight room at the gym, I look at all the contraptions around me with a deer in headlights expression. I know that pushing and pulling on the handles will move the weights up and down, but there's no method or plan behind my actions. Without a clear plan and goal in mind, playing around with the weight machines will yield no results and could result in injury. That's where BodyPump classes started to guide me, and why I'm back to a three times a week rotation. BodyPump is an aerobics-based weights class where participants follow an instructor through 8 tracks, with each song strengthening various muscle groups. Free weights and barbells accompany squats, lunges, pushups, and lifts in varying degrees based on the participant's skill and strength. Everyone can participate in the class, with beginners starting with lighter weights and working their way up as their strength increases. 1) The classes are included in my gym membership at Elmwood Fitness Center, and occur several different times a day at their various locations. Other gyms in the NOLA area offer the class, so check out your gym's schedule for options. 2) I like the atmosphere the BodyPump classes provide, as I'm still independent to do the workout at my own level, but there's always people around me who are more advanced. Seeing their workouts encourage me to continue participation for better results. 3) The instructors are trained to teach the releases, and get participants in and out of the gym in under 60 minutes. This fits in perfectly to my lunchtime workout schedule. 4) I have seen results from BodyPump before. Strength and endurance is super important for distance runners, and this workout focuses on both through high rep counts at varying weights. My PR races (Personal Record / fastest times) have occurred after a summer of minimal running and increased strength training with BodyPump and spinning. 5) The music is always high-energy and the workouts are choreographed to the tracks selected. Music helps me focus, and that focus makes the workout more effective while staying enjoyable. Most importantly is the music, which changes almost every other month. 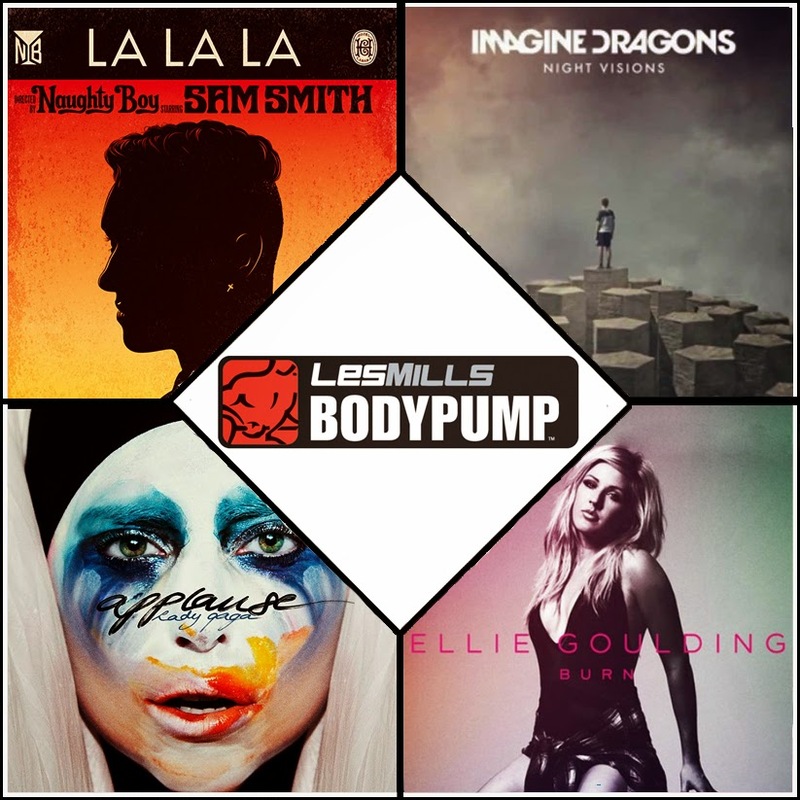 Below, you can see a playlist of what songs have been selected for the 89th workout release that is currently being used in gyms, as well as a sample video of what a BodyPump class includes. For a more detailed breakdown of the class, check out BodyPump's Wikipedia page HERE.